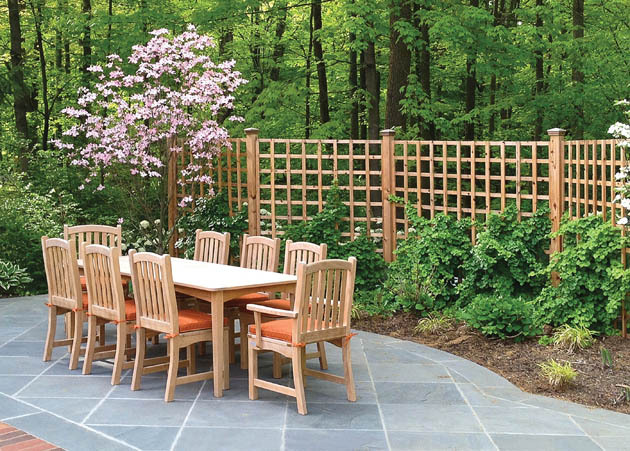 Garden fencing provides “walls” and separation from the woods for this lush, poolside outdoor dining area. 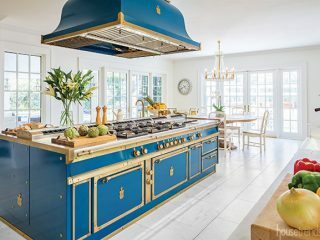 If coming out on the sunny side of this seemingly endless winter has you ready to throw open the windows and take the celebration outside, we’ve got some great ideas for places to stage your party. 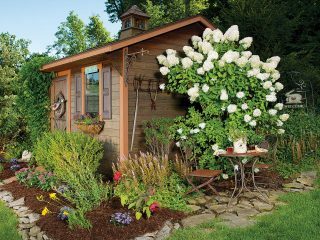 Take a look at the imaginative, efficient and sometimes meticulous use of space below and see if it just might be time to plan a landscape project of your own. 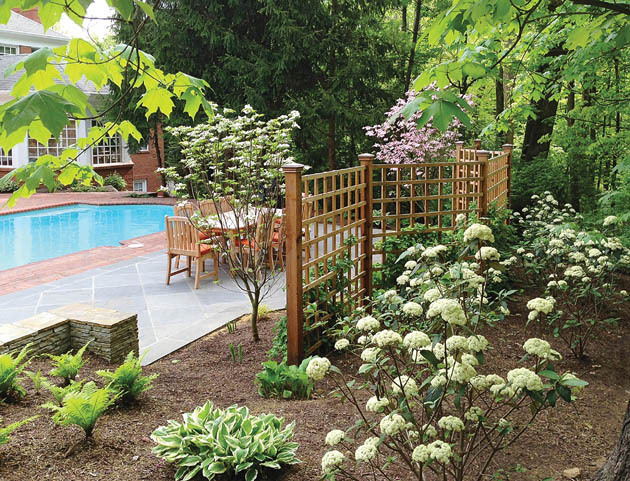 Designers took an underused pool space and expanded the deck to include a lush outdoor living area. 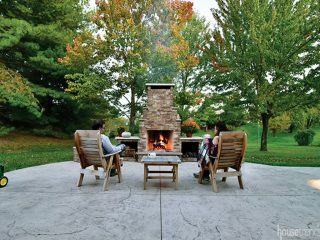 Simple patio furniture allows the natural landscape to take center stage.